Great news! 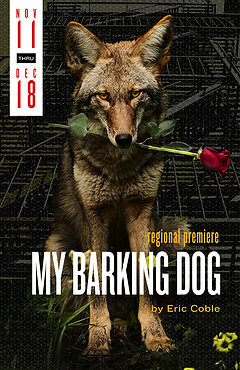 I am proud to announce that I am going to be playing Toby in the regional premier of the lovely and strange two hander, My Barking Dog by Eric Coble at Urbanite Theatre in Sarasota Florida! The production will be directed by my old friend, and fellow UNCSA alumni, Daniel Kelly! I can’t wait to get down-country to sink my teeth into this magical realist-eco-terrorist-comedy!